Chocolate and bananas are great in a banana split, so why not combine them for moist bread that’s perfect for snacking or dessert? This bread is a favorite of guests at the Rancho La Puerta Spa. 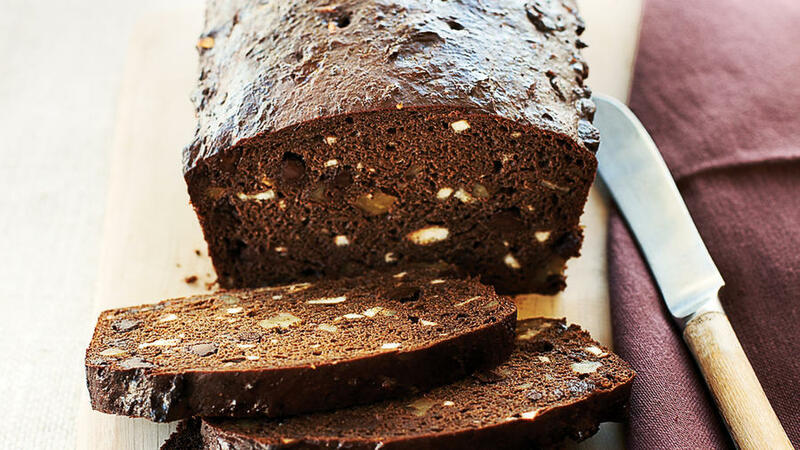 We love this banana bread from reader Linda Tebben. 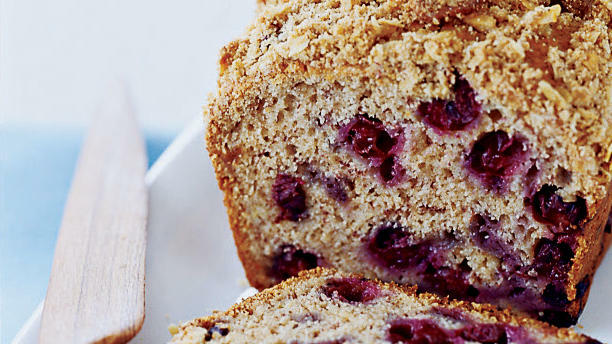 The oatmeal streusel topping with banana chips makes this banana bread a standout. 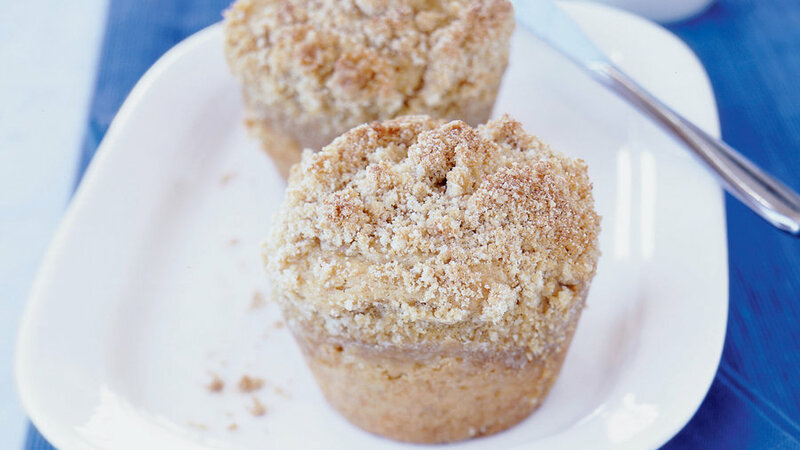 Whatever size you choose, these individual coffee cakes or muffins are sure to please. Sour cream is the perfect compliment to sweet bananas. 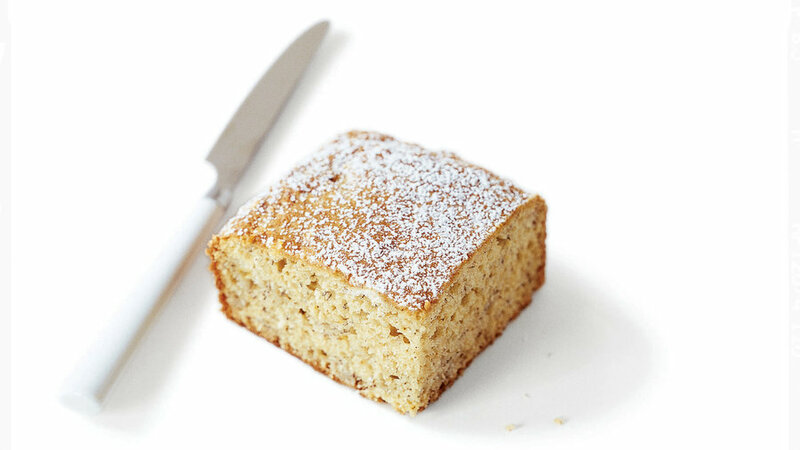 Light, moist, and warmed by spices, this cake can be served right from the pan for a simple dessert or special snack. 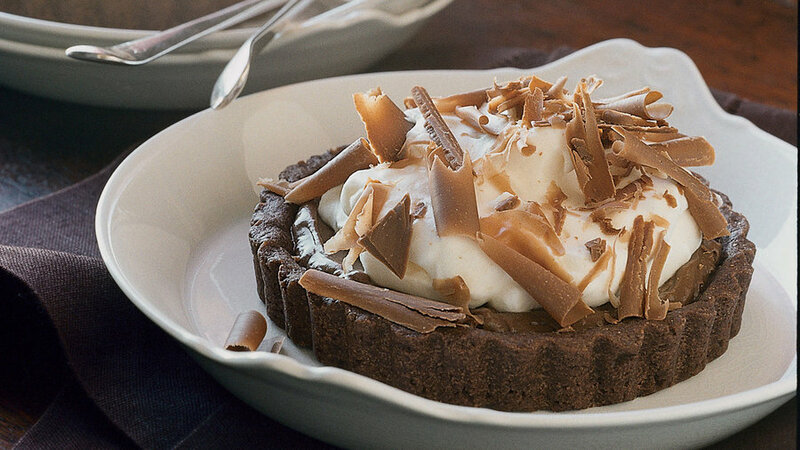 Almonds, brown sugar, spices, and butter are combined for a crunchy caramel-like topping. 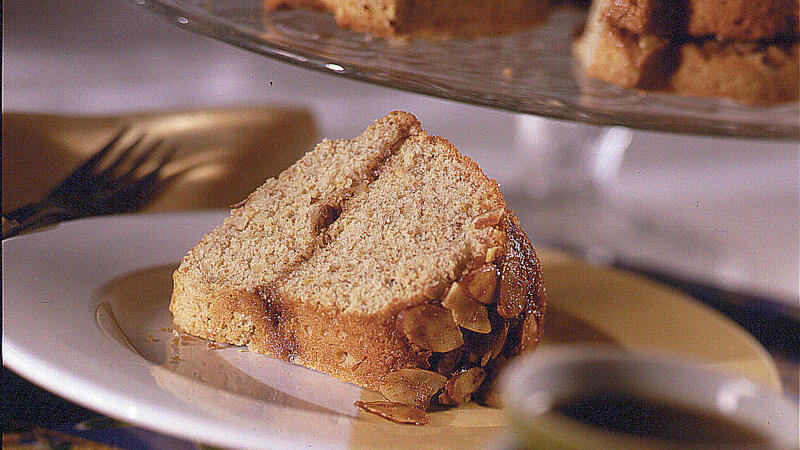 This tasty brown sugar mixture doubles as filling in this popular coffee cake from reader Jan McHargue. Rum and banana are the perfect tropical dessert combination. 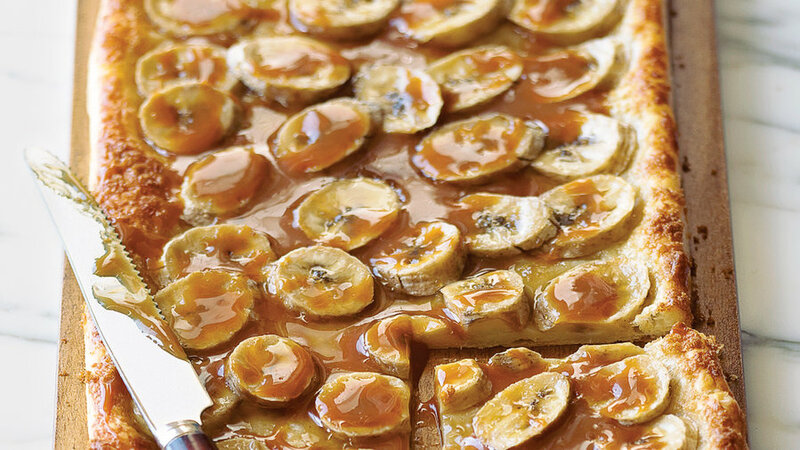 You can make the caramel sauce up to one week ahead. Enjoy these muffins warm from the oven or let them cool and bring them to work for a mid-morning snack. They're great for school lunches, too. These pancakes are sometimes found on the ever-changing menu at the popular 5 Spot Diner in Seattle, but you can make them at home whenever the mood strikes. 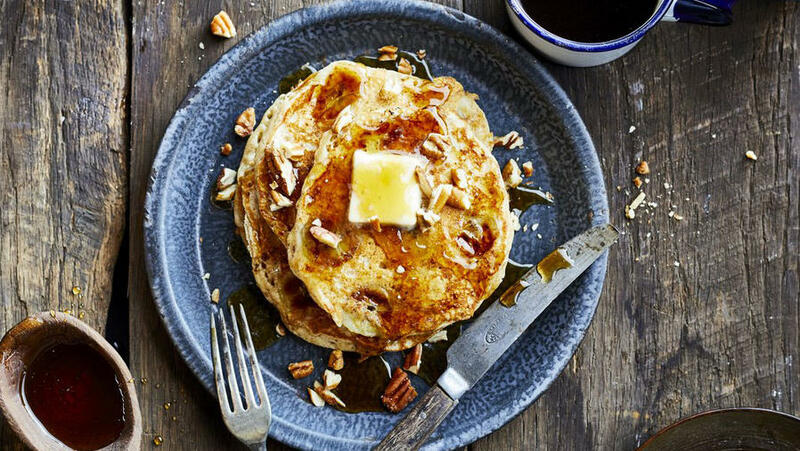 Readers love them and many claim they’re the best pancakes they’ve ever had.